IAML is all about sharing. Sharing information, visions, problems and solutions. The way we do that usually, is depending on personal contacts and possibilities like 'can I join the conference next year', will you be there as well? 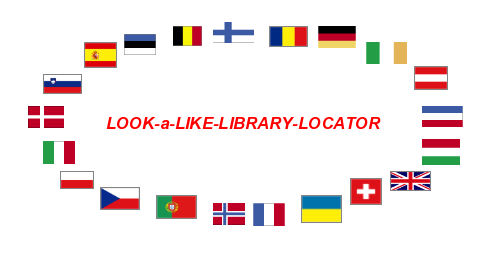 Especially in the Public Libraries Branch it is not so common to be able to attend an international conference, let alone, participate each year. In our time things are quite different from the early years in IAML. We can now easily keep in touch and join activities on a national or international level by using the computer. But it still takes time to get to know each other and find the right partners with whom you can share your ideas. So that's why I came to the idea of making these first steps a little more easy to take. Make our contacts less depending on attending the conferences. Make use of the available techniques to find your partner by using the information you will find in the IAML Toolbox. This project is quite simple and meant as a first step to make it possible to share your questions, information and ideas with a possible look-a-like library, without having met the colleague involved. You can join the project by giving answers to some general questions about your own library. Each country will have a sheet of it’s own, thus making the project also useful for national use if you like. The Project information is send to all colleagues known to us at this moment in the IAML network. Those who are not yet familiar with the Excel-program, please let me know. We can help you.